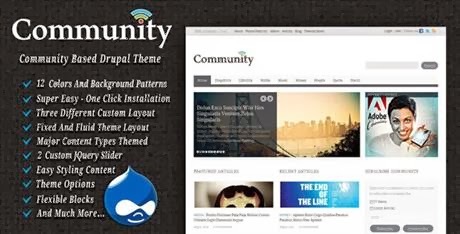 Community is a Drupal powered theme designed with community website needs in mind. It has most of components that you need to create a fully functional and powerful website in a minute. This theme is extremely flexible on both layout and functionality side. I bet you gonna love this theme from the very first moment.